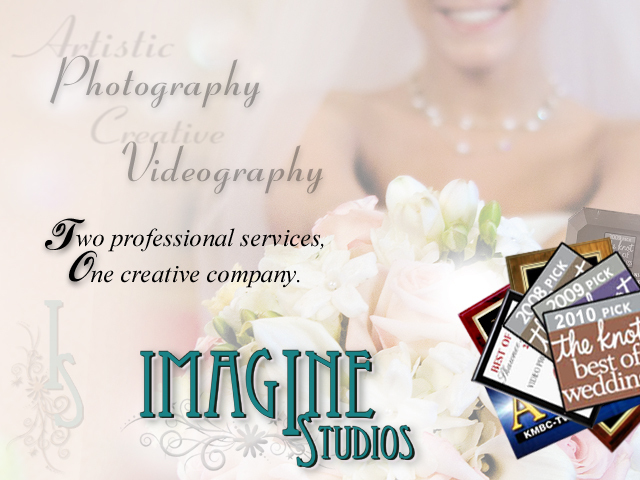 Imagine Studios...Photography, Videography. Two professional services, One creative company. Kansas City's premiere media production company. Artistic wedding professionals serving Kansas City and nation wide clients. Kansas Photography. Kansas Videography. Missouri Photography. Missouri Videography. Kansas City photography. Kansas City videography. Kansas City jib boom. Kansas City dolly track. Imagine Studios Kansas City. Imagine Productions. Imagine video productions.